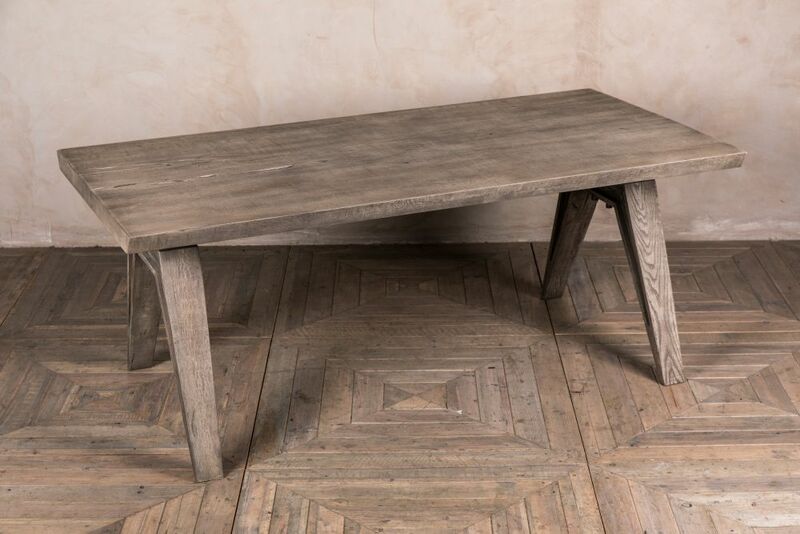 Rustic charm meets contemporary design in this stunning new oak dining room table. 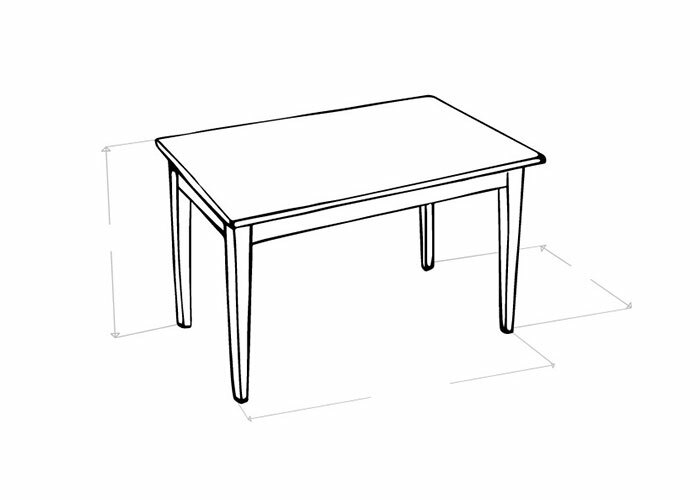 The ‘Wilkins’ table features a chunky oak top, set upon minimalist A-frame legs. 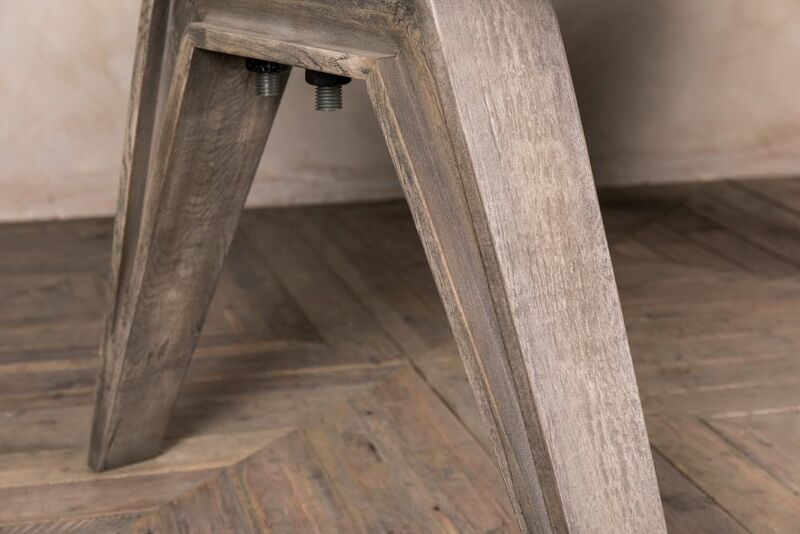 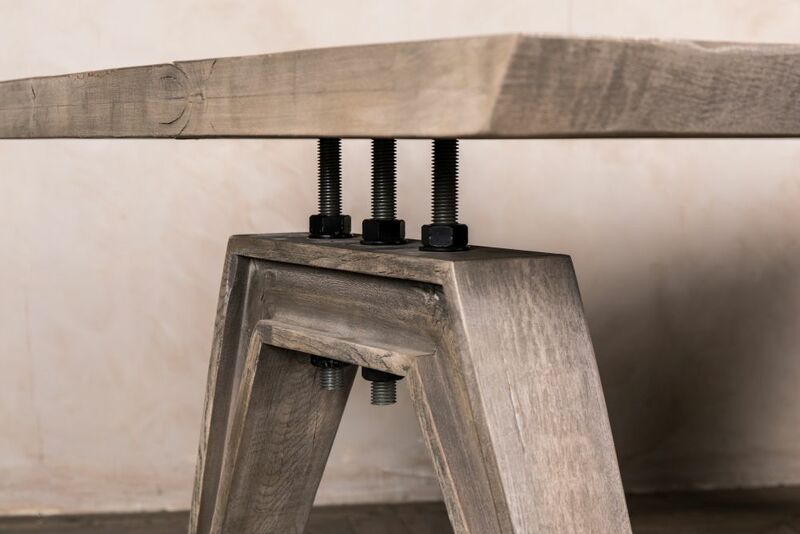 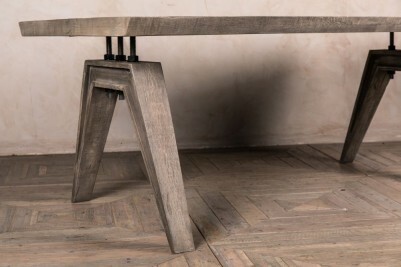 Each set of legs is connected to the table top with three large threaded bolts, adding an industrial edge to the table. 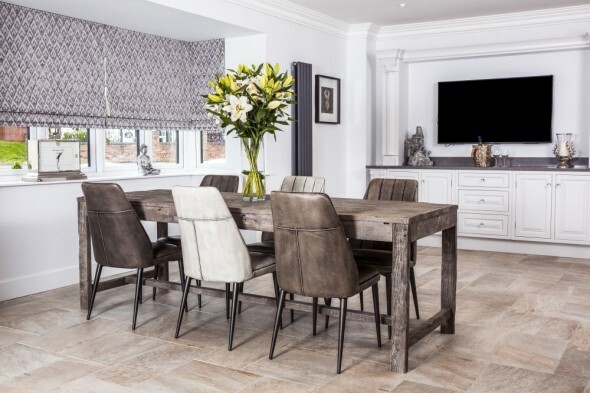 A pebble grey finish to the oak gives this table its modern appearance and the neutral tone would lend itself well to a variety of interior spaces. 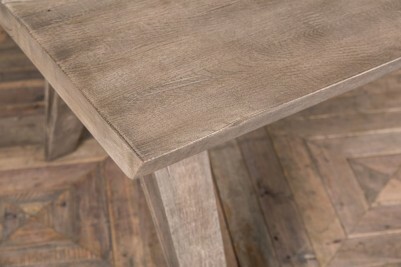 Choose this oak dining room table in either a 2m or 2.4m size, depending on your requirements. 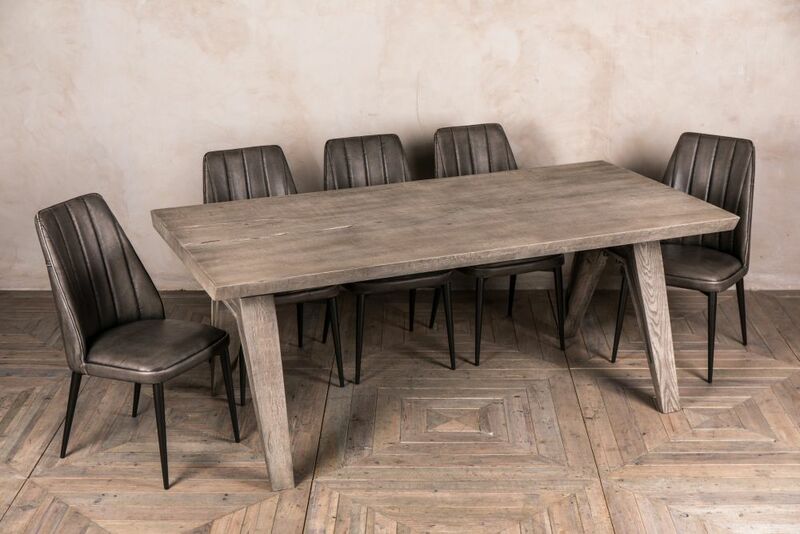 It would look well in a dining room, large kitchen, or equally in a restaurant or bar area. 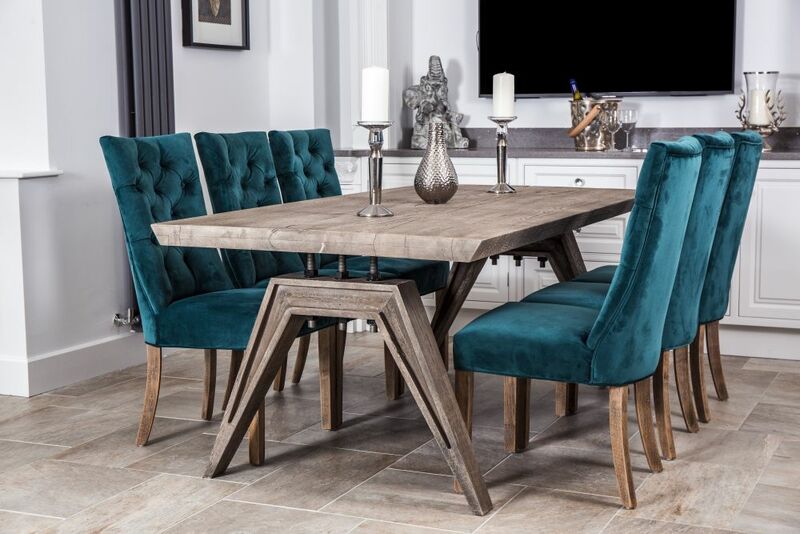 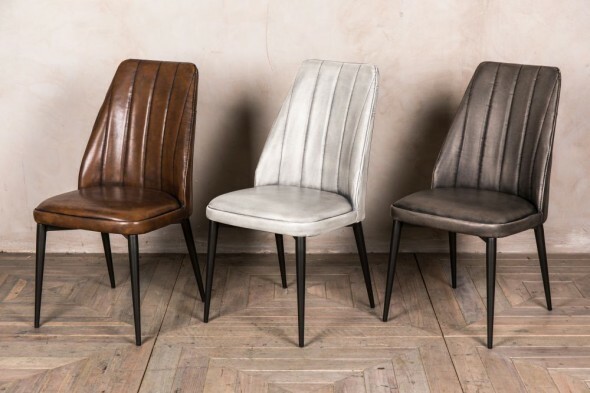 We have pictured this table with a selection of our dining chairs. 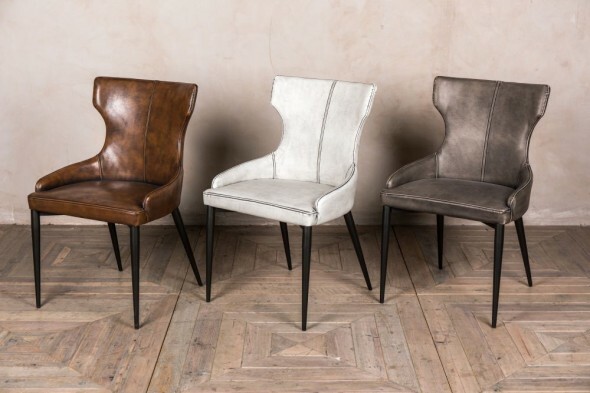 Why not browse the full range for more inspiration? 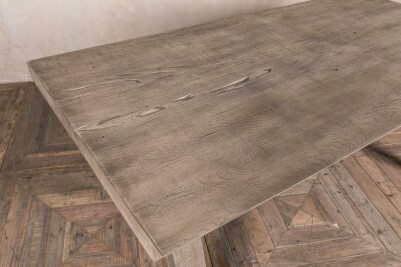 If you like this table, you’ll also love our ‘Miller’ table, which has a more traditional style. This table has all of the features associated with a rustic piece of furniture; expect to see knots, grooves and notches to the surface.